Visiting Chino Hills, California this week for my goddaughter, Heather’s high school graduation, we decided to stop in Barnes and Noble in one of the malls. I’m happy to report that Chicken Soup for the Soul: The Dating Game was on the shelf. Heather took a peek inside at my story, “Short Distance Romance.” She was tickled to see godmommy’s name in print. 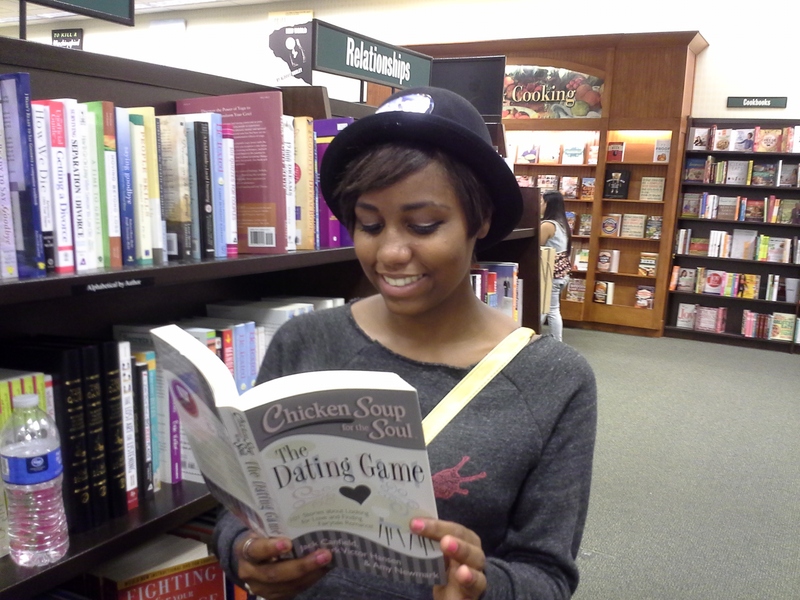 This entry was posted in Bookstore, Publishing, Writing and tagged Barnes and Noble, Chicken Soup for the Soul: The Dating Game, Heather Harper. Bookmark the permalink.